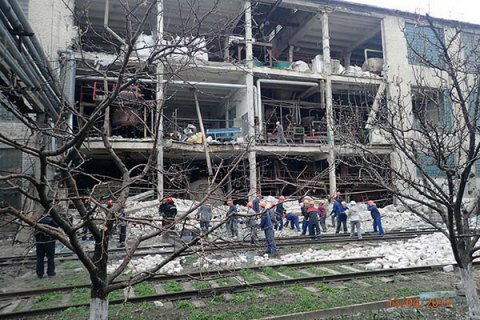 A woman has been killed after a wall collapsed at the Lysychansk gelatine plant (Luhansk Region) as a result of a blast, the State Emergencies Service has said. Technological equipment exploded in the animal glue workshop of the plant, it explained. A criminal case has been opened to investigate the reasons behind the blast.